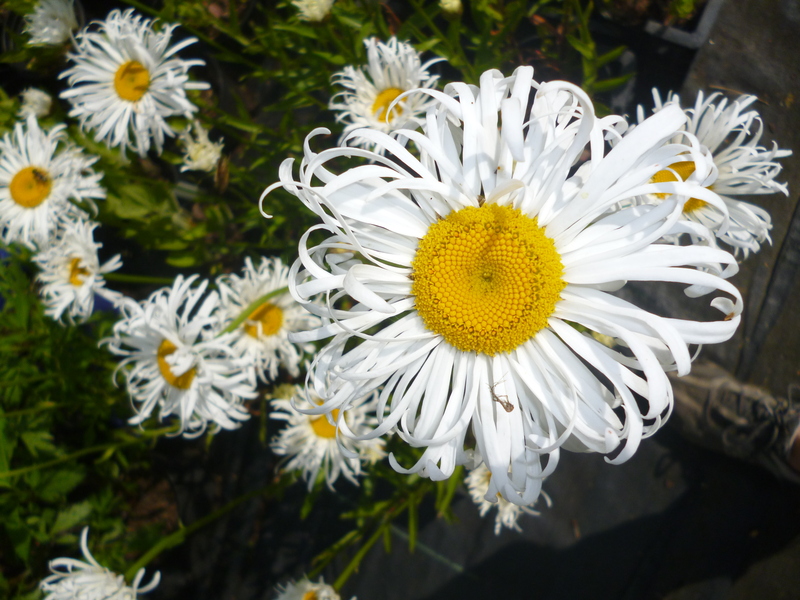 Leucanthemum x superbum ‘Droitwich Beauty’. 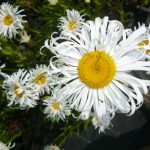 is a useful middle of the border plant and provides excellent late colour. 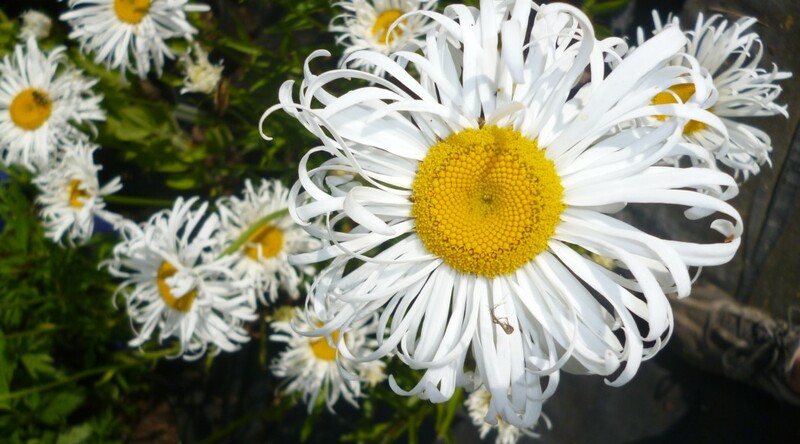 Bees and butterflies are attracted to these daisies.